See full infographic: WEB | PDF© AL GRANBERGIn the late 1970s, pathologist J. Robin Warren of Royal Perth Hospital in Western Australia began to notice that curved bacteria often appeared in stomach tissue biopsies taken from patients with chronic gastritis, an inflammation of the stomach lining that often precedes the development of stomach cancer. He and Barry J. Marshall, a trainee in internal medicine at the hospital, speculated that the bacterium, now called Helicobacter pylori, was somehow causing the gastritis.3 So committed was Marshall to demonstrating the microbe’s causal relationship to the inflammatory condition that he had his own stomach biopsied to show that it contained no H. pylori, then infected himself with the bacterium and documented his subsequent experience of gastritis.4 Scientists now accept that H. pylori, a common gut microbe that is present in about 50 percent of the world’s population, is responsible for many cases of gastritis and most stomach ulcers, and is a strong risk factor for stomach cancer.5 Marshall and Warren earned the 2005 Nobel Prize in Physiology or Medicine for their work. More recent work has documented a similar link between colon cancer and the gut microbiome in humans. In 2014, a team led by Schloss sequenced 16S rRNA genes isolated from the stool of 90 people, some with colon cancer, some with precancerous adenomas, and still others with no disease.9 The researchers found that the feces of people with cancer tended to have an altered composition of bacteria, with an excess of the common mouth microbes Fusobacterium or Porphyromonas. A few months later, Peer Bork of the European Molecular Biology Laboratory performed metagenomic sequencing of stool samples from 156 people with or without colorectal cancer. 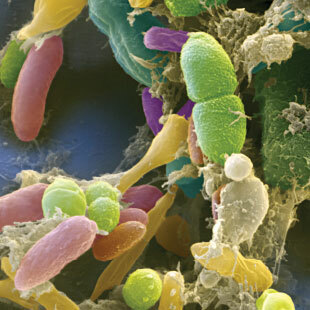 Bork and his colleagues found they could predict the presence or absence of cancer using the relative abundance of 22 bacterial species, including Porphyromonas and Fusobacterium.10 They could also use the method to predict colorectal cancer with about the same accuracy as a blood test, correctly identifying about 50 percent of cancers while yielding false positives less than 10 percent of the time. When the two tests were combined, they caught more than 70 percent of cancers. 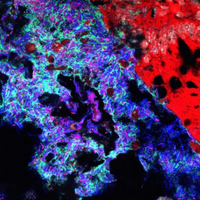 MICROBIAL STOWAWAYS: Bacteria of the human gut microbiome are intimately involved in cancer development and progression, thanks to their interactions with the immune system. 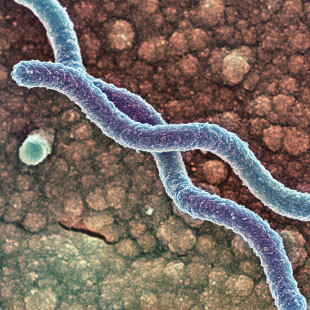 Some microbes, such as Helicobacter pylori, increase the risk of cancer in their immediate vicinity (stomach), while others, such as some Bacteroides species, help protect against tumors by boosting T-cell infiltration.© EYE OF SCIENCE/SCIENCE SOURCEIn the mid-2000s, MIT’s Erdman began infecting a strain of mice predisposed to intestinal tumors with H. hepaticus and observing the subsequent development of colon cancer in some of the animals. To her surprise, one of the mice developed a mammary tumor. Then, more of the mice went on to develop mammary tumors. “This told us that something really interesting was going on,” Erdman recalls. 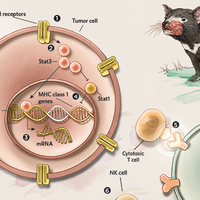 Sure enough, she and her colleagues found that mice infected with H. hepaticus were more likely to develop mammary tumors than mice not exposed to the bacterium.13 The researchers showed that systemic immune activation and inflammation could contribute to mammary tumors in other, less cancer-prone mouse models, as well as to the development of prostate cancer. At the University of Chicago, Thomas Gajewski and his colleagues have taken a slightly different approach to studying the role of the microbiome in cancer development. 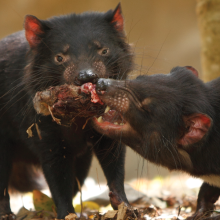 By comparing Black 6 mice coming from different vendors—Taconic Biosciences (formerly Taconic Farms) and the Jackson © DR. GARY GAUGLER/SCIENCE SOURCELaboratory—Gajewski takes advantage of the fact that the animals’ different origins result in different gut microbiomes. “We deliberately stayed away from antibiotics, because we had a desire to model how intersubject heterogeneity [in cancer development] might be impacted by the commensals they happen to be colonized with,” says Gajewski in an email to The Scientist. Instead of promoting cancer, in these experiments the gut microbiome appeared to slow tumor growth. Specifically, the reduced tumor growth in the Jackson mice correlated with the presence of Bifidobacterium, which led to the greater buildup of T?cells in the Jackson mice’s tumors. 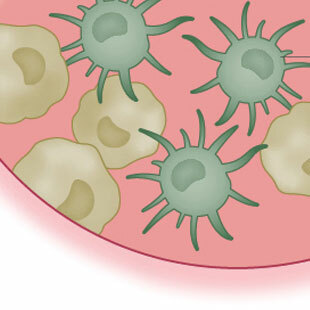 Bifidobacteria activate dendritic cells, which present antigens from bacteria or cancer cells to T?cells, training them to hunt down and kill these invaders. Feeding Taconic mice bifidobacteria improved their response to the implanted melanoma cells. Meanwhile, Zitvogel’s group at INSERM is investigating interactions between the microbiome and another class of checkpoint inhibitors called CTLA-4 inhibitors, which includes the breakthrough melanoma treatment ipilimumab (Yervoy). 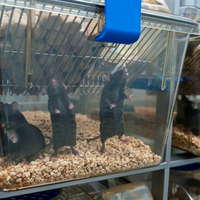 The researchers found that tumors in antibiotic-treated and germ-free mice had poorer responses to a CTLA-4–targeting antibody compared with mice harboring unaltered microbiomes.15 Particular Bacteroides species were associated with T-cell infiltration of tumors, and feeding Bacteroides fragilis to antibiotic-treated or germ-free mice improved the animals’ responses to the immunotherapy. As an added bonus, treatment with these “immunogenic” Bacteroides species decreased signs of colitis, an intestinal inflammatory condition that is a dangerous side effect in patients using checkpoint inhibitors. Moreover, Zitvogel and her colleagues showed that human metastatic melanoma patients treated with ipilimumab tended to have elevated levels of B. fragilis in their microbiomes. Mice transplanted with feces from patients who showed particularly strong B. fragilis gains did better on anti-CTLA-4 treatment than did mice transplanted with feces from patients with normal levels of B. fragilis. And these checkpoint inhibitors aren’t the only cancer therapies whose effects are modulated by the microbiome. Trinchieri has also found that an immunotherapy that combines antibodies against interleukin-10 receptors with CpG oligonucleotides is more effective in mice with unaltered microbiomes.1 He and his NCI colleague Goldszmid further found that the platinum chemotherapy oxaliplatin (Eloxatin) was more effective in mice with intact microbiomes, and Zitvogel’s group has shown that the chemotherapeutic agent cyclophosphamide is dependent on the microbiota for its proper function. Although the mechanisms by which the microbiome influences the effectiveness of cancer therapies remains incompletely understood, researchers speculate that the immune system is the key link. Investigating the mutation’s contradictory effects, the researchers found that mice with normal TLR5 produce higher levels of the cytokine interleukin 6 (IL-6) than those carrying the mutant version, which have higher levels of a different cytokine called interleukin 17 (IL-17). But when the researchers knocked out the animals’ microbiomes, these differences in cytokine production disappeared, as did the differences in cancer progression between mutant and wild-type animals. J.R. Warren, B. Marshall, “Unidentified curved bacilli on gastric epithelium in active chronic gastritis,” Lancet, 321:1273-75, 1983. J.P. Zackular et al., “Manipulation of the gut microbiota reveals role in colon tumorigenesis,” mSphere, doi:10.1128/mSphere.00001-15, 2015. 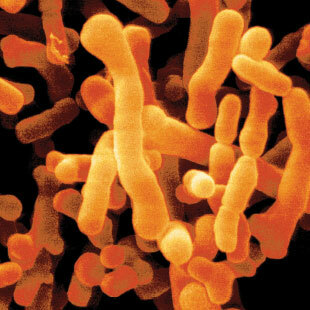 M. Vétizou et al., “Anticancer immunotherapy by CTLA-4 blockade relies on the gut microbiota,” Science, 350:1079-84, 2015. J. Li et al., “Probiotics modulated gut microbiota suppresses hepatocellular carcinoma growth in mice,” PNAS, doi:10.1073/pnas.1518189113, 2016.